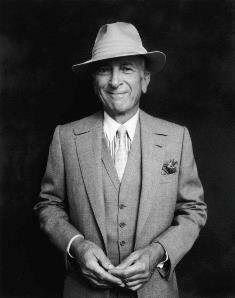 Literary innovator Gay Talese has been named the 2013 recipient of the Harper Lee Award for Alabama’s Distinguished Writer of the Year. A University of Alabama (UA) alumnus, Talese will receive the award at the Alabama Writers Symposium in Monroeville on April 26 at the annual luncheon. The conference will meet April 25-27. During his years on the Tuscaloosa campus, Talese covered sports for The Crimson White. He served as sports editor during his junior and senior years when he first began experimenting with traditional journalism in his column Sports Gay-zing. He recently told Noble that he continues to follow the Crimson Tide. Athletics aside, Talese retains ties with his alma mater. The UA Department of Journalism honored him with its Clarence Cason Award for Nonfiction Writing in 1998. He received an Honorary Doctorate of Humane Letters in 2001 when he delivered the commencement address. He presently serves on the UA Library Leadership Board. Talese has been chronicling American life and writing the literature of reality for more than half a century. His career started while he was a high school student in Ocean City, New Jersey, where he was the sports reporter for the town weekly. He took his column to the University of Alabama in 1949, and following his service in the Army, he began work as a reporter at The New York Times in 1956. From 1965, he wrote for Esquire producing some of the finest magazine pieces of his generation, many of which are collected in The Gay Talese Reader: Portraits and Encounters (2003). His piece, “Frank Sinatra Has a Cold,” was called by Esquire the finest it ever published. He has profiled many celebrities over the years, but Talese’s magazine pieces and books have been primarily concerned with ordinary people: the overlooked non-newsworthy population that is everywhere, but rarely taken into account by journalists and other chroniclers of reality. His most recent book, A Writer’s Life, was published by Knopf in April 2006. It recounts the inner workings of this writer’s life, the interplay between experience and writing: the art of hanging out as Gay Talese describes his work. Talese delivers many keynote speeches to a variety of groups and is an inspiration to writers published and non-published. Talese has also written for The New Yorker and four of his books have been best sellers: Unto the Sons (1992), Thy Neighbor’s Wife (1980), Honor Thy Father (1971), and The Kingdom and the Power (1968). He has been married for forty-five years to Nan A. Talese, Senior Vice President of Doubleday and Publisher and Editorial Director of Nan A. Talese/Doubleday. The couple has two daughters. The Alabama Writers’ Forum, a partnership program of the Alabama State Council on the Arts, coordinates the selection of the Harper Lee Award recipient annually from nominations from the field. The honor is presented annually by Alabama Southern Community College at the Symposium. It is made possible through a generous grant from George F. Landegger, chairman, Parsons and Whittemore. Previous Harper Lee Award recipients include Fannie Flagg (2012), Winston Groom (2011), Carolyn Haines (2010), Rick Bragg (2009), Rebecca Gilman (2008), William Cobb (2007), Wayne Greenhaw (2006), Andrew Hudgins (2005), Sonia Sanchez (2004), Rodney Jones (2003), Mary Ward Brown (2002), Sena Jeter Naslund (2001), Helen Norris (2000), Madison Jones (1999), and Albert Murray (1998).